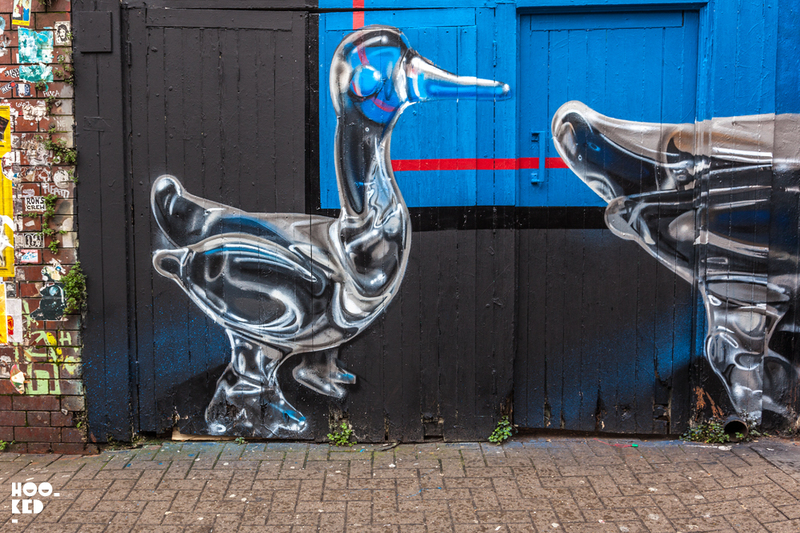 Just before the holiday we shared one of two new mural pieces paint out in East London by street artist Fanakapan. We were surprised to see the artist out painting as this is traditional a time when most people begin to win down for the holiday season. The first of the two works from the artist had a festive theme to it to fit the occasion. A red nosed rudolf Reiner painted in Hagerstown along the canal on a set of metal doors that have become a regular painting spot for Fanakapan - one which he has painted on a number of occasions in 2017. 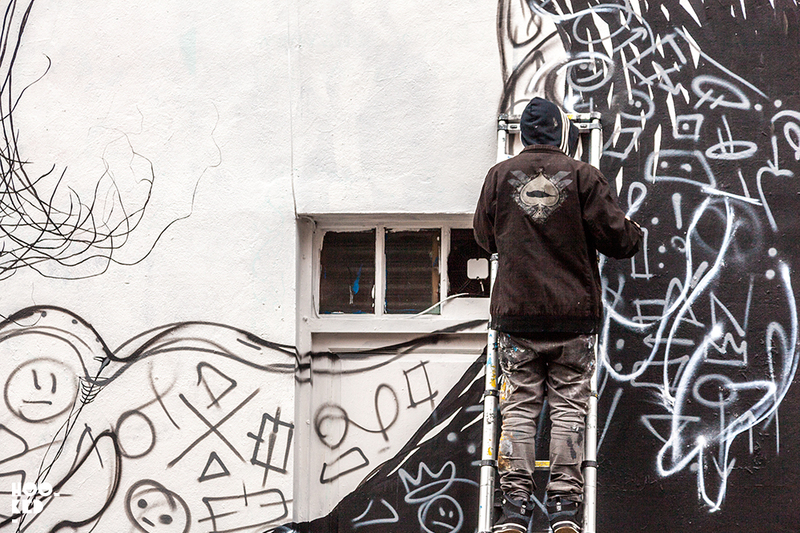 Hookedblog caught up with Fanakapan as he was completing work on the festive piece and we have already shared a series of images of him at work along with the finished mural in this post ‘Festive Reindeer mural in East London by artist Fanakapan‘. 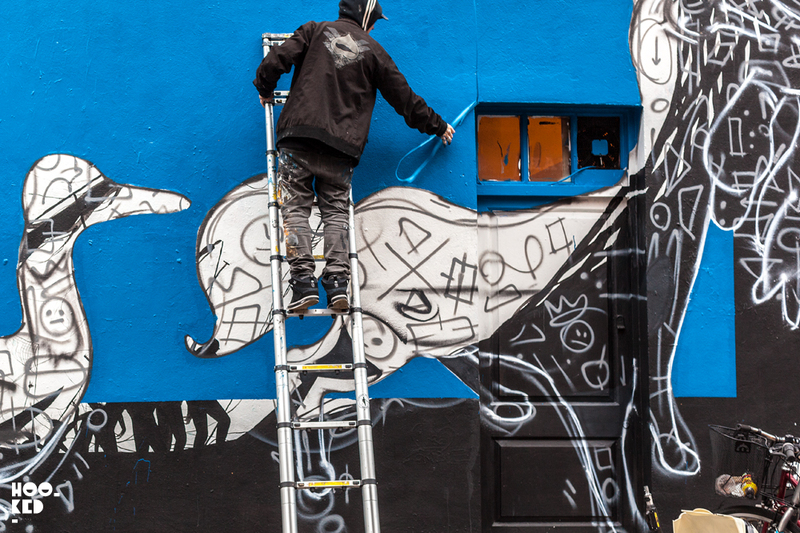 While picking up some last minute gifts we ran into Fanakapan for a second time the following day on Hanbury street, where the artist was making a start on a second mural! We stopped for a quick chat and took some photographs of the artist at work but due to the large scale of the wall he was painting we knew we would have to wait until we returned to London to catch pictures of the completed wall as we were jumping on a plane the following day. Back in London and we have finally found time to check out the completed mural by Fanakapan. 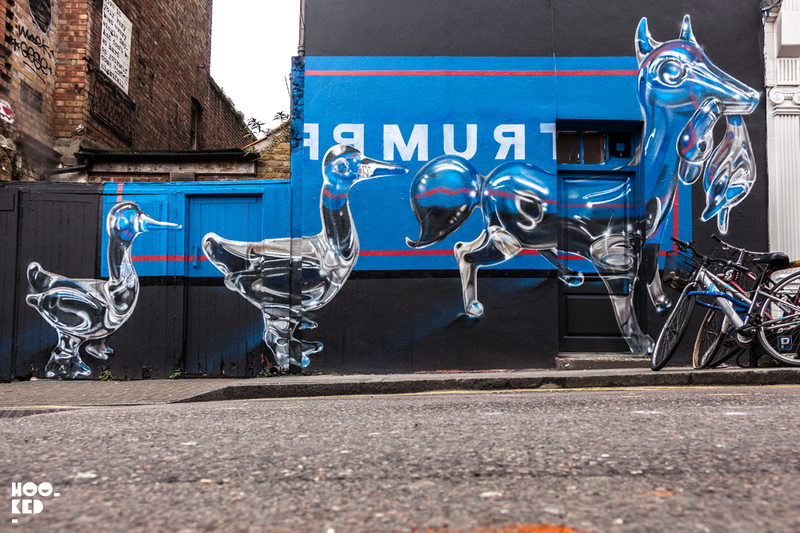 Taking aim at Donald Trump with a politically themed piece, Fanakapan has named the mural ‘Follow the Leader', a mural in which we see a series of glass like transparent animals following each other along the street. 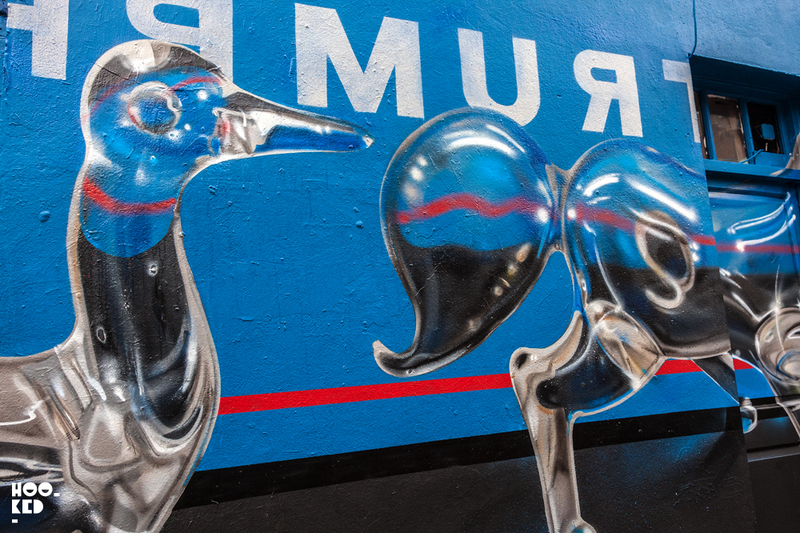 As with some of his helium style chrome pieces, Fanakapan's attention to detail is impressive as ever, taking the effort to ensure the glass animal reflections match the background adding to the realistic nature of the 3D glass looking animal characters. 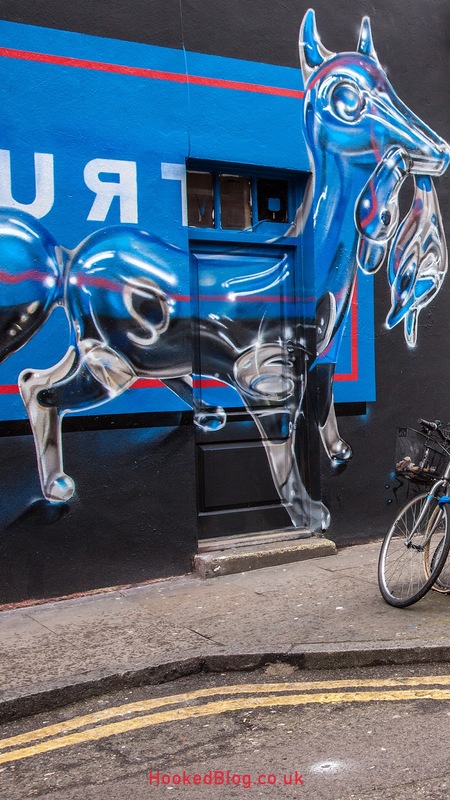 The new mural from Fanakapan can be seen in person on Hanbury Street just off Brick Lane in East London. Wall support from Art Under The Hood. The completed 'Follow The Leader' mural by Fanakapan on Hanbury Street, London.